The following is a list of my work being featured in articles or events / projects. In this article I am featured with other femme artist of color. 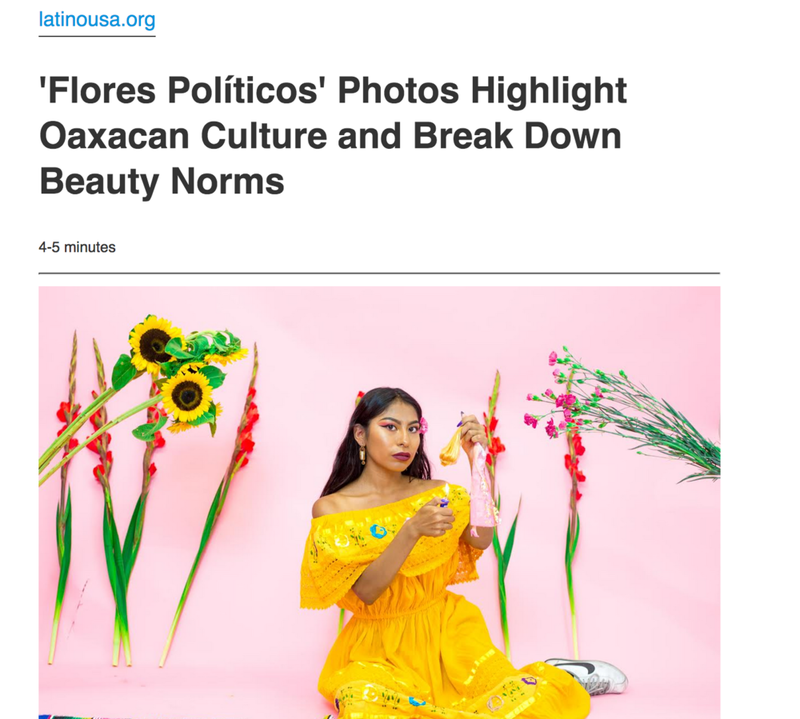 NPR covers the background story behind Flores Politicos and beauty norms. Zuly Garcia is not here for traditional ideas of womanhood. 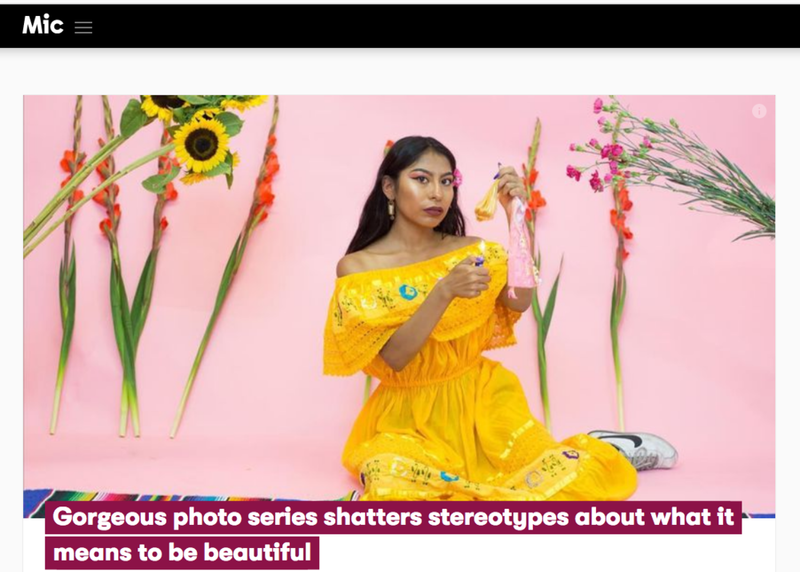 And with her recent photo series “Flores Políticos”, she is rewriting what it means to be a woman of color in the United States while also representing her indigenous roots. I was hired by Mitu to be the art director for a series called Amorcito Poems for Mitú by the L.A.-born Salvi poet Yesika Salgado recites "Fat Girl Wants Love" from her new book 'Corazon.' You can buy Corazón at: http://www.notacult.media/corazon -- Don't forget to give this video a thumbs up and share it with your friends!